Whether you’re camping alone or with a few friends, you need a decent cooking system to provide a hot meal. The Jetboil Zip vs Flash comparison is a great place to start. Though barbecues and large cooking stoves are a great addition to any camping trip, you may not have the space needed to carry them. Many of us prefer to pack light, carrying only what we need on our backs. If you are more of a minimalist, but still enjoy the luxury of hot food and drinks, a decent camping stove is a must. That’s why we’ve done a Jetboil Zip vs Flash comparison, which displays the best features, and the flaws, of both of these models. When you’re trying to choose the best camping stove, the first thing you need to consider is how many people you’re cooking for. If you’re traveling alone, you can buy a small one to feed yourself. But if you have a few others eating as well, a single-serving stove just won’t do. You also need to think about the versatility of your stove. Does it have a range of temperatures to choose from, giving you more cooking options? Does it have its own ignition system or is it manual? What about the fuel? Is it readily available? 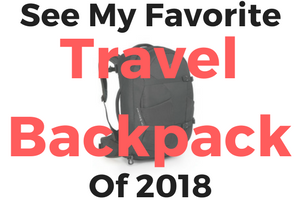 If you’re packing it in a backpack, how much room can you spare? And how much weight can you carry? Before you buy, consider all these questions carefully, to ensure you have the right stove for you. When you compare the two best Jetboil stove models, you’ll notice they are almost identical in size. The Zip is a bit smaller at 4.1 x 6.5 inches when packed. The Flash is only slightly bigger, with dimensions of 4.1 x 7.1 inches when packed. This makes both models perfect for activities like backpacking, cycling, hiking, and paddling. Both the Zip and the Flash are also close when it comes to their weight. The Zip, once again, is a bit lighter at only 12 ounces. The Jetboil Flash weight in about 13.1 ounces. 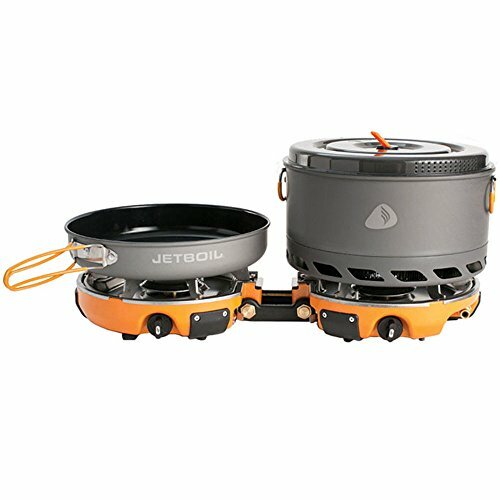 Of course, both of these weights don’t include the fuel stabilizer, which adds another 0.9 ounces to each of these Jetboil stoves. Because it’s a bit smaller in size and weight, it’s no wonder the Jetboil Zip stove has a smaller capacity. It only holds 0.8 liters of food or water. The Flash can hold a full liter. This means that both stoves are great for single person use, but the Flash has a bit more leeway when feeding a second camper. When you need that hot cup of coffee first thing on a chilly morning, you don’t want to have to wait forever for the water to boil. The Jetboil Zip takes about 2 and a half minutes for 0.5 liters of liquid inside the camping stove. This may not seem like much, but it is incredibly long when compared with the Flash boil time. This larger cooking stove takes only 100 seconds per 0.5 liters. So, in terms of speedy cooking times, the Jetboil Flash is the best backpacking stove to buy. 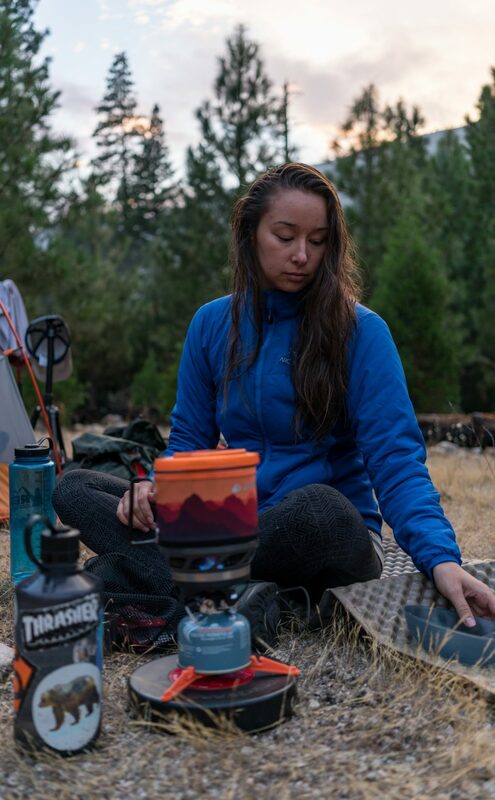 The Jetboil Zip cooking system features an anodized aluminum pot for cooking, which has a neoprene cozy to keep the food and drinks inside hot. The bottom cover and the top lid of the pot are both made of durable BPA-free plastic. There is also a stainless steel burner. 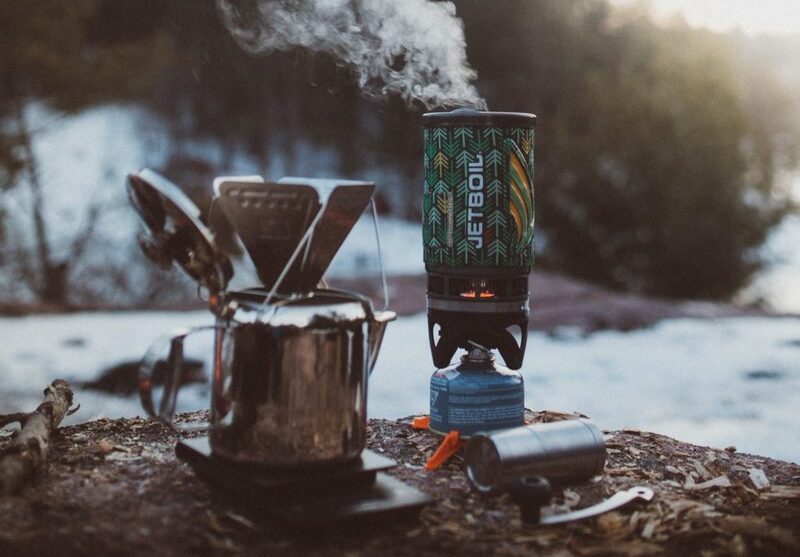 All of the same materials are used on the Jetboil Flash, to retain the heat and withstand the rigors of outdoor travel. So, when comparing the Jetboil Zip vs Flash camping stoves, they are equally matched in terms of materials and durability. One of the biggest differences you’ll find when comparing the Jetboil Zip vs Flash are the heat regulator valves. The Zip’s valve is made of plastic, which isn’t that durable over time. The valve is also quite small and a bit awkward to use for those with sweaty hands or larger fingers. Another issue is that the valve is located rather close to the heat source, so you need to be extra careful when using it. The Flash has a better heat adjustment valve. It is made of metal, which is more durable. This valve is farther away from the heat source as well, for a safer adjustment. It flips out from the stove, giving you more surface to grip and more control when you use it. The Jetboil Zip cooking system has no ignition button. Instead, it needs to be lit with a match or a lighter. This won’t be an issue if you normally carry these items, but if you forget them, you won’t have any way to get the heat going for your evening cup of cocoa. The Flash has its own ignition in the form of a push-button igniter. This lets you start it up at any time. Of course, despite the claims from Jetboil that this ignitor is totally reliable, you may want to carry the matches or lighter anyway, just in case it fails on the trail. 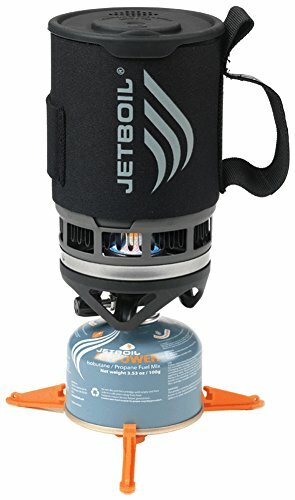 Both the Jetboil Zip and Flash use one burner to heat them. These burners are detachable and can be stored inside the cup when not in use for easy packing and traveling. The design of them is a bit different on the outside, giving the Flash a more stylish appearance, but other than that, they are practically identical. 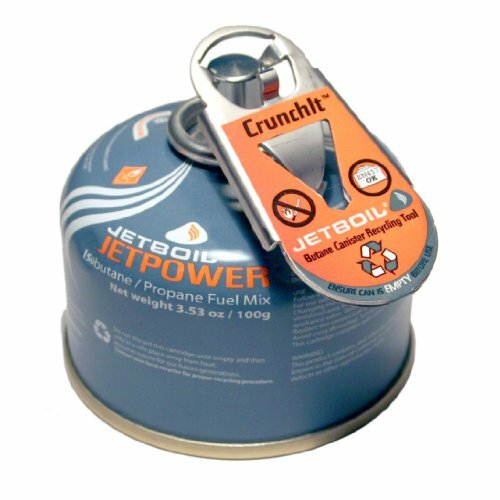 Both of these Jetboil cooking systems use Jetboil Jetpower fuel. But the Zip is a bit more efficient, boiling 12 liters of water for every 100 g Jetpower fuel can. The Flash only boils 10 liters with the same amount of fuel. In terms of efficiency, the Zip is the better of the two in our Jetboil comparison. But the Flash cooks more at a time, so it all depends on how many people you’re feeding. Rather than having you stand the cooking system on the fuel canister, Jetboil has added a stabilizer that fits over the bottom. This stabilizer is bright orange, with three prongs that help keep both the Zip and the Flash upright on slightly uneven surfaces, especially on windy days when other systems would blow over. When it comes to extra features, the Zip is a bit more minimalistic than the Flash. The Zip has an insulating cozy over its FluxRing cooking cup for better heat retention. There is a drink-through lid that also doubles as a pour spout and a strainer if needed. Most convenient is the fact that the Zip is compatible with all of Jetboil’s accessories. The Flash also has the insulated FluxRing cooking cup and the improved lid design. But it adds a bottom cover that can also be used as a measuring cup and a bowl. The most interesting feature of the Flash is the Thermochromatic heat indicator which changes color the moment the water inside comes to a boil. The downside of the Flash is that it is only compatible with a few of the Jetboil accessories, so you need to check them out first before you buy them. 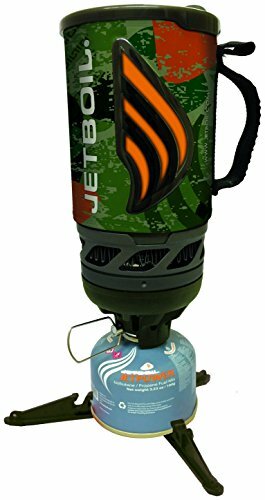 Jetboil was formed by Dwight Aspinwall and Perry Dowst in 2001, but they didn’t debut their products until 2003 when they were displayed at the Outdoor Retailers trade show. 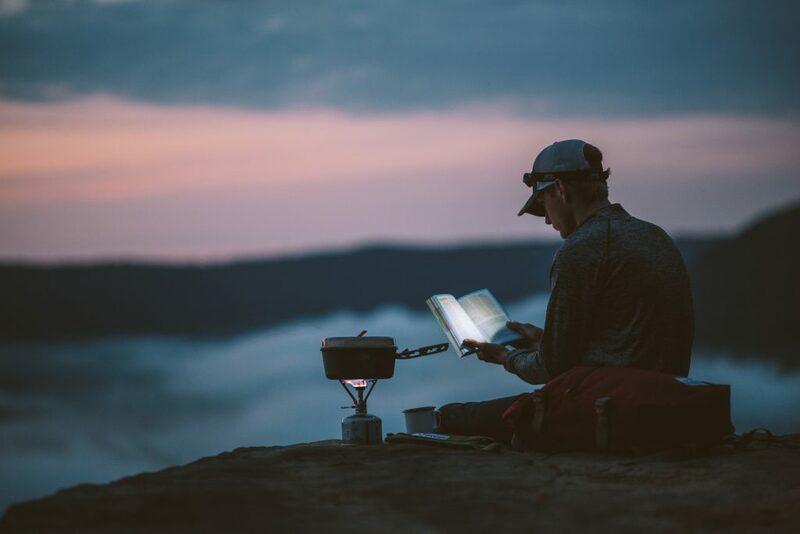 This company specializes in gas-fueled portable stoves and their accessories, mainly aimed at hikers, backpackers, and those who like to travel light while still enjoying hot food and drinks. The company also markets its own fuel, which is a mixture of propane and isobutane, which combines better cold weather performance with more consistent pressure, even when the canister gets low. 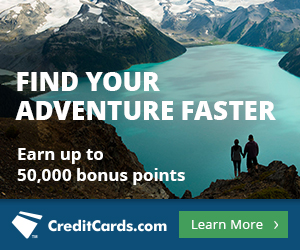 Where are Jetboil Products Made? Jetboil’s headquarters is located in Manchester, New Hampshire. All of their cooking systems and accessories are manufactured in the United States. 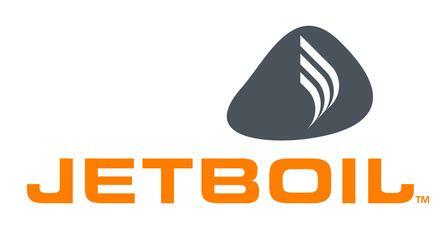 All of Jetboil’s products have a 1-year limited warranty. This covers improper functions of the product, which Jetboil will repair or replace at their discretion. This warranty doesn’t cover improper use or maintenance, improper modifications, negligence, accidental damage, or normal wear and tear. 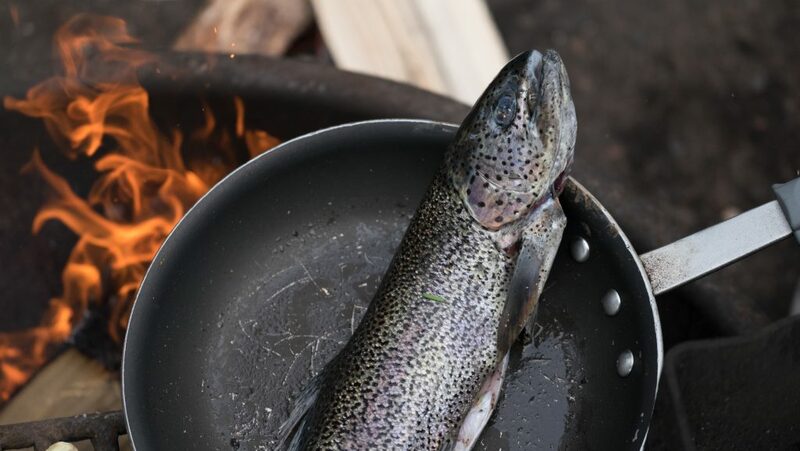 Along with the Jetboil Flash vs Zip cooking systems, you may also want to add an accessory or two, to make it easier to cook your favorite outdoor meals. 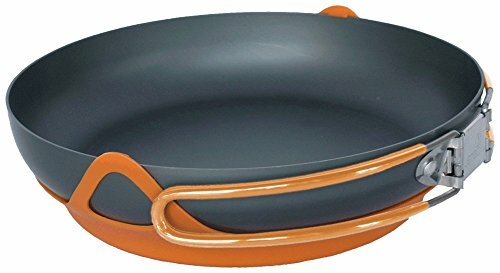 The 8-inch FluxRing Fry Pan is compatible with both systems, offering even heating and foldable handles for easy storage. 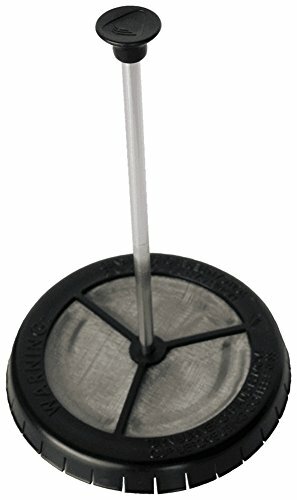 This support system works with the FluxRing Fry Pan and the 1.5L FluxRing Cooking Pot for cooking larger meals. Turn your cooking system into a coffee pot by adding this handy coffee press. It also doubles as a veggie steamer when turned upside down. This kit includes a spoon, fork, and spatula, all with telescopic handles and made of high-temperature nylon for lightweight durability. This stainless steel tool allows you to crush Jetpower canisters for recycling. Is also a bottle opener and a jet orifice wrench and attaches to a carabiner or keyring. 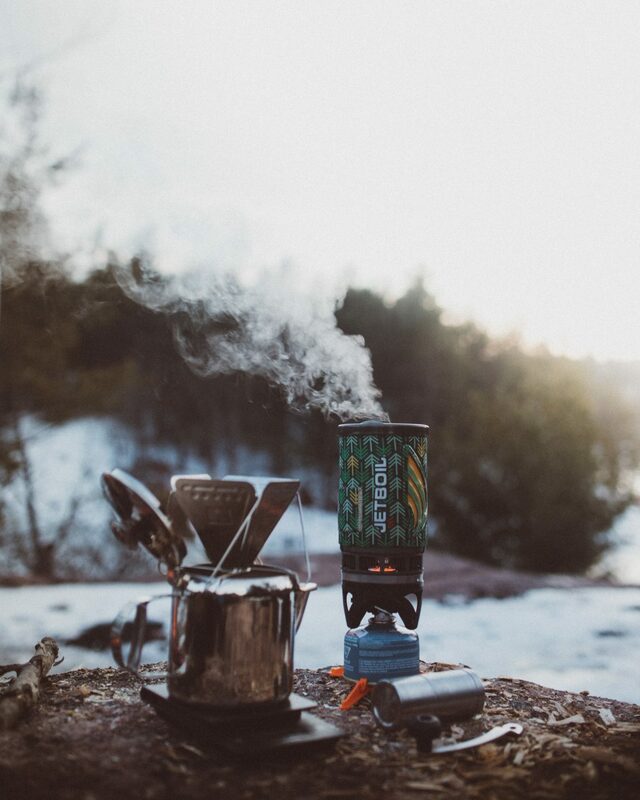 How Will You Use Your Camping Stove? Before you buy a camping stove for your next adventure, you need to consider what kind of traveler you are. For instance, are you cooking for yourself, or for a few people? For single person use, a small stove is perfect. But if you’re cooking for a group, you’ll need a larger one to accommodate the bigger meals. You also need to decide what type of cooking you’re going to do. Both the Zip and the Flash are boil only, which is great for making coffee, tea, soups, or pasta. But if you like to add a few more options to your menu, a stove with a simmering option is a must. Another thing to consider is the size. If the stove and its accessories take up too much space in your pack, you may have to leave other important gear behind. Compact models that can all be fit into the cup are the best choice. 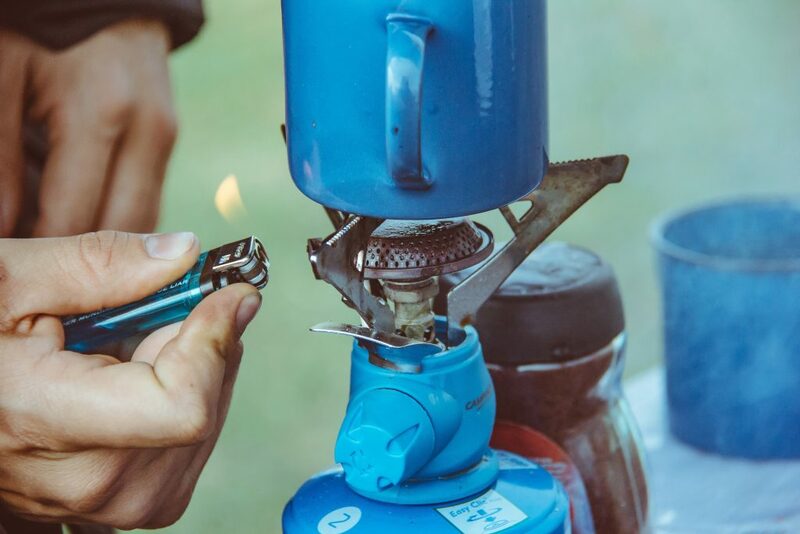 The size and weight of your next camping stove are pretty important things to consider before you spend your money, especially if you are trying to pack everything you need into a backpack. You don’t want to leave behind any essential items in order to have a hot meal. Small systems are great because they don’t take up too much space. But if you have to feed more than one person, you may need a larger model. Of course, larger systems will likely weigh more as well. An extra few ounces may not seem like much at first, but after hours on the trail, you may be wishing you chose a lighter camping stove. When choosing your next camping stove, capacity is another important thing to consider. Smaller cups are great for single person use, like the Jetboil Zip 0.8 liter cup. 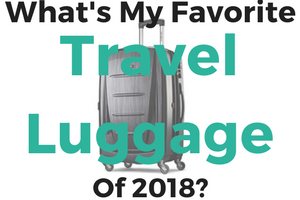 This makes a decent amount of coffee or food for one person, but may not be the best choice if traveling with a spouse or friend. For two, a 1-liter cup like the one on the Jetboil Flash is the perfect size. Both members of your party will get a healthy serving. Of course, if you are feeding more than two, you can add an accessory like a frying pan or a pot to make larger meals. Efficiency should be noted in a few different areas. One is the time it takes to boil the liquid in the cup. Most systems are designed to boil in a matter of minutes. But you also need to add in the outside temperature and the elevation, as both will affect how long it takes the system to heat up. Another thing to look at is fuel efficiency. You don’t want a system that runs through an entire canister of fuel for every meal, or your backpack will be full of canisters. So, be sure to check out the specs of the system before you buy to find out just how much you can cook using a single canister. 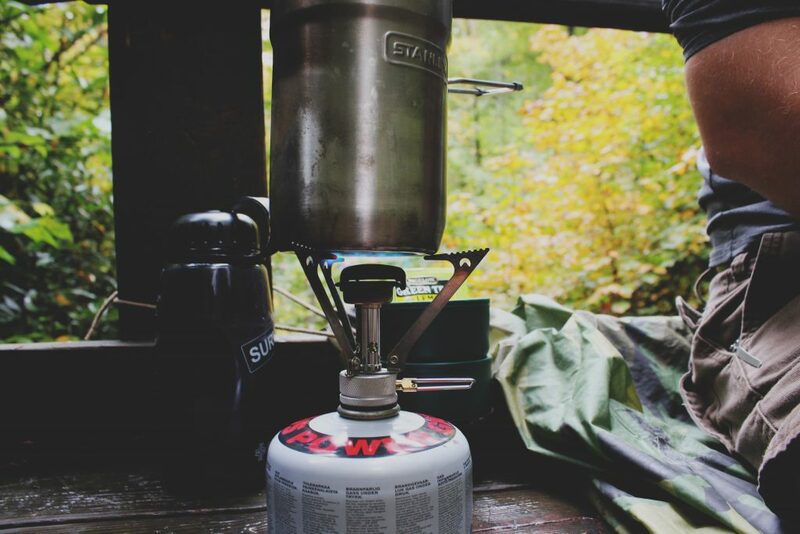 Your camping stove system should be made of quality materials, like aluminum and other metals. Plastic can be alright at first, but it is not nearly as durable and can’t withstand some high or low temperatures. If it cracks or breaks during your trip, you’ll have to figure out some other way to make your next meal. You may also want to carry extra parts and tools in case your system needs some repairs on the trail. You can buy Jetboil replacement parts for the Zip and the Flash and carry them along in your pack, though you need to be careful you don’t lose the smaller pieces during your trip. An ignition system can be quite handy, especially if you don’t normally carry matches or a lighter with you at all times. Plus, it makes it easier to try to light your burner on a windy day, which would be almost impossible to do manually. But it may be best to keep that lighter handy even if you do have an ignition on your camping stove, just in case. One of the reasons many people avoid these little camping stoves is because older models sat directly on the fuel canister. If you’re on uneven terrain or it is a bit windy, they could topple over, spilling your food, risking burns, and possibly damaging the system. That’s why many camp stove brands now add stabilizers, like those found in our Jetboil Zip vs Flash comparison. These fit over the bottom of the fuel canister, giving it a much wider bottom to rest on for greater stability. Along with stabilizers and ignition systems, you may want to check out a few extra features. One is compatibility with accessories, in case you want to add a frying pan, pot, or coffee press to your system. Hanging kits are handy for those who need to cook in a tent on a wet, cold day, though these are usually sold separately. A heat indicator, like the one found on the Flash, tells you when the water is boiling, making it easy to know exactly when to add your pasta or dehydrated food. Heat regulators are a must to help you in keep complete control of the flame. The Bottom Line: Jetboil Flash vs Zip – Which is the Best Camping Stove? 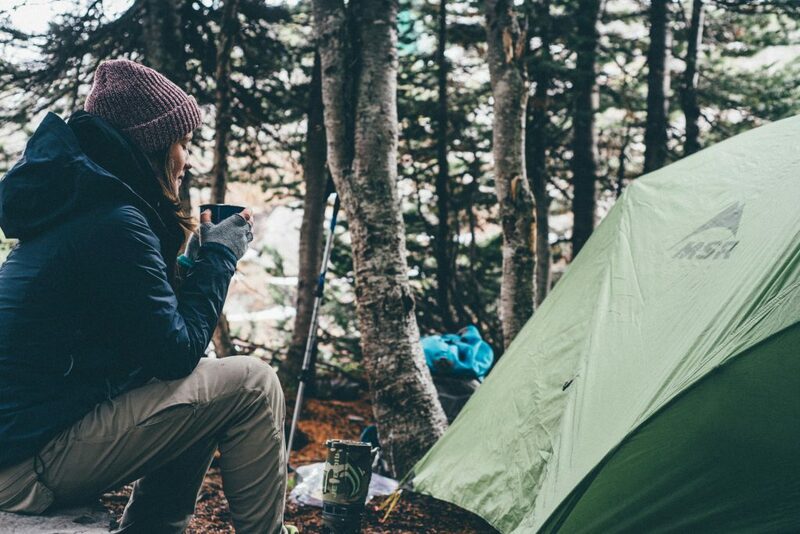 Small camping stoves for lightweight travel are a great way to add some of the comforts of home to your trip. But they need to be decent, efficient models to be the best camping stove for the money. In our Jetboil Zip vs Flash comparison, both models use the same materials, burners, and fuel type. But there are some differences worth noting that make one a better choice. The Jetboil Zip is cheaper, smaller, and lighter than the Flash. It is also compatible with many more of Jetboil’s accessories and has better fuel efficiency. For single person use, it is a great choice. On the other hand, the Jetboil Flash feeds more people, has a faster boiling time, and the heat adjustment valve is bigger and easier to use. It also has a push-button ignition and a few extra features, including the color-changing heat indicator. 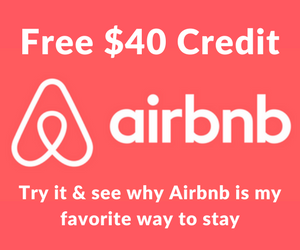 Though it costs a bit more, it is the better option for those traveling alone or with a friend.